Combining the strengths of two of the world’s top schools, the GSMP takes participants beyond traditional programs based on absorbing models and knowledge. We have designed an experience-based program which challenges senior managers to upgrade their own management style, their approach to globalization and their organization’s core. Build on the collective knowledge of top level partcipants and world-class professors. Develop a strategic vision in global markets. Strengthen your leadership skills and self-management skills. The GSMP has helped me understand how I can shape the future of my organization by changing the way I manage and by being able to respond to new challenges in the market. Also it’s helped me focus on how I can lead my team and help them perform better. I would recommend this program to anyone who really wants to gain global insights. 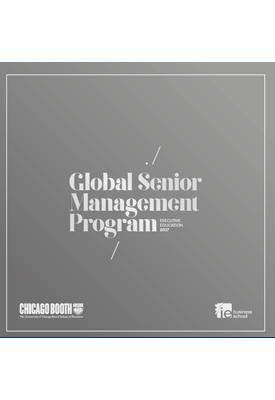 In every sense of the word, the Global Senior Management Program is indeed as global as it could possibly be.